The Cleveland Browns have yet to win a game this season despite being more than halfway through their schedule. 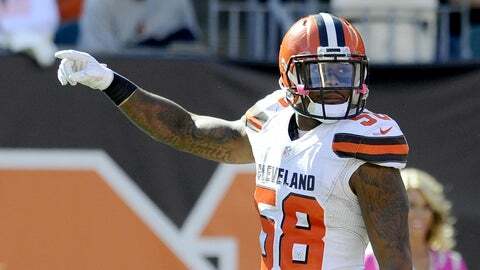 But even though they're sitting at 0-9 after their 35-10 loss to the Cowboys on Sunday, there’s one player on the Browns who is guaranteeing at least one win. The Browns are hoping not to join the 2008 Lions, who is the only team in NFL history to go 0-16. It’s avoiding that dubious distinction that is pushing Kirksey to make this proclamation. So which team will be the unfortunate victim to the Browns? It’s tough to say. Cleveland’s final seven games are against the Ravens, Steelers, Giants, Bengals, Bills, Chargers and again the Steelers in the season finale.